NASA’s Curiosity rover extends its 7-foot arm to drill into a Martian boulder (Credits: NASA JPL). While the Curiosity rover is preparing to drill into the Martian soil, NASA engineers spoke about a potential flaw in the tool, exposed by a “torture test” on a ground unit, that was fixed just before the Mars Science Laboratory (MSL) was launched. A bond in the fast-spinning drill might fail at some point, long after the scheduled two-year mission duration, causing a short-circuit that would result in a localized electrical meltdown. Engineers found out the problem only too late in the rover’s development to work on something that could fix the possible issue for good. In fact, just a month or two before the takeoff, an additional set of wires was bolted on, to limit the damage coming from a short-circuit to keep Curiosity’s power bus safe. 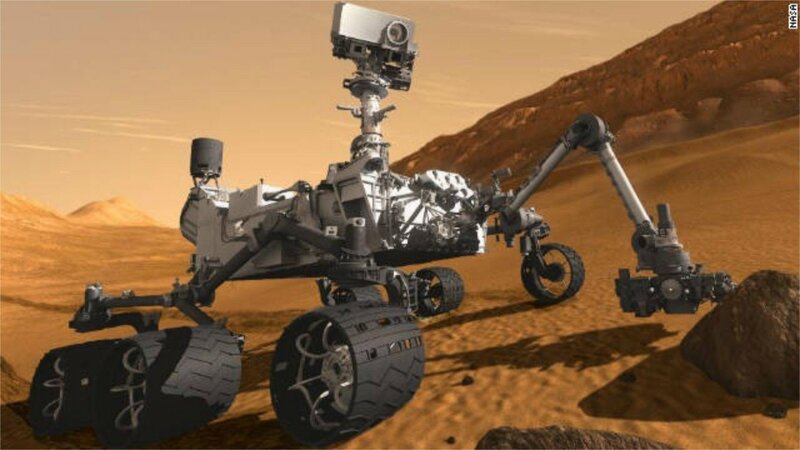 The tests that revealed the problem were performed on a ground test unit with an older and less robust design than the deployed version of Curiosity. Moreover, the percussion drill on that test rover was run for dozens of hours before issues surfaced. In the current Martian operations, with an improved and brand-new drill, it will take at least two years if not longer to reach this kind of accumulated run-time. However, Manning has confirmed that the new safety measures have been tested to ensure that any fault, if it occurs on the flight drill, would not be catastrophic. The Curiosity rover launched on November 26, 2011 and landed on Mars in Gale Crater on August 5, 2012. The mission’s aim is to investigate the Red Planet’s habitability through the study of climate and geology, determining if it could ever have hosted microbial life. The fast-spinning drill is a key part of this research because it can penetrate 1” (2.5 centimeters) into Martian boulder and deliver powdered samples to the analytical instruments inside the rover. The six-wheeled rover is now headed to a site called Point Lake, where it expects to start the drilling operation. 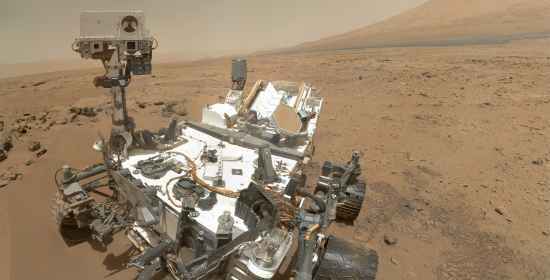 Curiosity’s mission has been recently extended “as long as it would be scientifically viable,” as said by John Grunsfeld, NASA’s associate administrator for science. It is certain that, unless major issues impede operations, Curiosity’s radioisotope thermoelectric generator should be able to keep on converting the heat of plutonium-238’s radioactive decay into electricity for at least 55 years. NASA will also continue operating the other Mars assets, Mars Reconnaissance Orbiter, the Opportunity rover and Mars Odyssey orbiter as well. The new missions Maven orbiter and InSight lander, will join them before 2017, there to wait for the still-unnamed 2020 rover mission announced on December 4, 2012.